Established in 1964 and led by a group of parents and advocates, Pinewood began as one of the state’s first organizations of its kind; serving six adults with developmental and intellectual disabilities in Cloquet, Minnesota under the name Carlton County Daytime Activity Center. At that time, parents provided all transportation. In the fall of 1969 and with a growing enrollment of sixteen adults, the program moved to a large brick home in Cloquet and became known as The Patterson House. As time went on and enrollment continued to grow, an Executive Director was hired in 1974 to begin the process of obtaining funding for a larger, more suitable building. With support from the local community and families of enrollees, the doors to our current building on 18th Street opened in June of 1975 and we became known as Pinewood Learning Center. 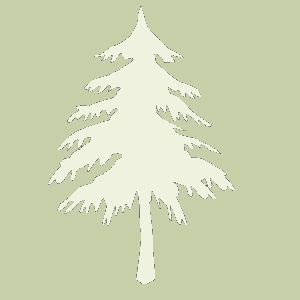 In 1990, we adopted the name Pinewood Cloquet, Inc. In the fall of 1991, Pinewood expanded its services to begin serving clients in St. Louis County. On November 6th, Pinewood Duluth Inc. opened with an enrollment of seventeen adults in a renovated hardware store in West Duluth. As enrollment grew, a move was made in January of 1993 to our current location on E. 4th Street. We are a private, non-profit 501©(3) charitable corporation licensed by the State of Minnesota Department of Human Services as a Day Training & Habilitation (DT&H) program. Between the two program sites, we provide person centered services to more than 140 adults with intellectual disabilities, employ more than 80 professional staff and operate a fleet of over 20 light, medium and heavy-duty vehicles.